Before making an offer or setting your heart on a property, it is important to know how much you are able to take out for your loan. These calculations are based on both affordability and income, your status and the equity in any existing properties that you may own, however this can vary depending on which lender the mortgage is sourced to. The deposit is completely dependent on the purchase price of the property in question and does not have to be paid until the contracts have exchanged with proof that the relevant funds are in place. Once you’ve gained all the information about how much you can borrow, it will be easier for you to find your perfect property within your price range and make a formal offer with the vendor confirming the price you are willing to pay. If accepted, you are then able to move on to the next stage of choosing your mortgage. This stage is crucial in finding out which mortgage repayment type and products you wish to choose. Your advisor will discuss your financial circumstances, current and future objectives and your ability to pay the loan before sourcing the best mortgage deal for you and your situation. A suitable product is then selected once the repayment options have been discussed, along with protection policies and you are then able to move on to the next stage of your mortgage application. Before the application can continue, a current, accurate valuation of the chosen property must be carried out by a qualified surveyor who acts on behalf of the lender. This is the legal side of things, where the property is transferred from the existing owner to yourself. It is usually upon acceptance of offer that conveyancing work will need to begin. This means that a solicitor or licensed conveyancer will need to be appointed to carry out the legal procedure on your behalf. It is their role to ensure that all legal aspects of the transaction (including title deeds – proof of ownership) are in order. It is important for you to speak with your solicitor regularly to find out what they will be doing throughout the process of your mortgage application. Once your case has been underwritten where you will be assessed on your ability to support the mortgage, the lender will issue a legal mortgage offer. As part of the advice process, you will need to provide a range of different proof and documentation which will also be used in the underwriting process, for example: verification of identity, proof of address, reason for taking out the mortgage, evidence of income and obligations – providing bank statements, wage slips and P60’s, information for credit reference agencies, employers and other lenders and assurance that the property is suitable for the selected mortgage in terms of condition and value. Once issued, it is important that you understand the mortgage offer thoroughly and the terms and conditions available to you. 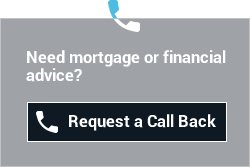 If unsure, either your mortgage advisor or solicitor is able to talk you through. This is the part of the process where the deposit is paid to the vendor’s solicitor and you are legally committed to purchasing the chosen property. If you wish to withdraw your offer after this point, you will forfeit your deposit. You do not have to commit financially until a formal mortgage offer has been offered in writing and you are happy with it. This is the final part of the process where the property finally changes ownership into your name. The agreed date for completion is decided by you and the vendor on exchange of contract. It is the solicitor’s responsibility to arrange for the mortgage money to be paid to the vendor and complete any legal documentation.